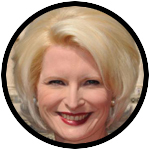 Callista Gingrich, U.S. ambassador to the Holy See, provided the following commentary to Catholic News Service. She wrote it in connection with the release May 29 of the 2017 International Religious Freedom Report and the announcement at the U.S. State Department about a top-level consultation that will take place in July on promoting religious freedom. Religious understanding and tolerance are bulwarks against the forces of extremism — they are the necessary foundations of peace and security around the world. The United States advocates for religious freedom at home and abroad. Protecting and defending this integral human right — to worship freely — is fundamental to who we are as a people and as a nation. The Vatican has a long history of encouraging religious freedom and tolerance through interreligious dialogue. After Pope Francis’s visit to Burma (Myanmar) and Bangladesh, he professed that the church “won’t close (its) hearts or look away” from the plight of the Rohingya. During his visit to Egypt, Pope Francis called on humanity not to hold entire religions “accountable for the crimes of any small group of followers.” And in a recent message to Muslims for the end of Ramadan, the Pontifical Council for Interreligious Dialogue called on both faiths to move from competition to collaboration. America’s proud heritage of protecting and promoting international religious freedom is equally committed. The U.S. Department of State invests $20-25 million annually in foreign assistance programs designed to promote religious freedom. The International Religious Freedom Act of 1998, which created an ambassador-at-large for international religious freedom within the Department of State, ensures that the United States actively protects this universal right. As the report shows, no religious community is immune from repression and discrimination. Christian pastors and Baha’is are jailed in Iran — at least 20 individuals were executed there in 2017 for exercising their right to worship freely. Authorities in Russia continue to target peaceful religious adherents. Muslims and non-Muslims alike are imprisoned in Egypt. Minority groups like Ahmadi Muslims and others are persecuted in Pakistan. Incidents of anti-Semitism are on the rise globally. Religious beliefs and activities are controlled and restricted in China. The Rohingya in Burma continue to face violence and discrimination. And Christians, Shia Muslims and Yezidis in the Middle East continue to suffer from the genocidal acts perpetuated by ISIS. The report also illustrates the important steps taken by the United States, under President Donald Trump’s leadership, in advocating for religious freedom both domestically and globally. Yet clearly, there is more to be done. The 2017 International Religious Freedom Report and the Ministerial to Advance Religious Freedom underscore America’s enduring commitment to this cause. Only by working together can governments, faith leaders and individuals safeguard this basic human right for all those seeking to live their lives freely and in accordance with their faith.